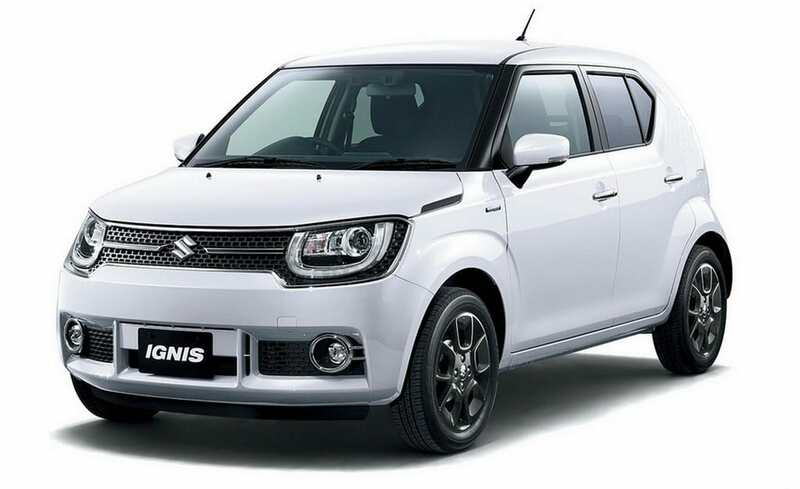 Suzuki is well known globally for its expertise in small cars, and the new Ignis compact crossover is its latest example. Since launching its first car in 1955 (called the Suzulight), Suzuki has produced a vast range of significant models, each tailored to the needs of its time. 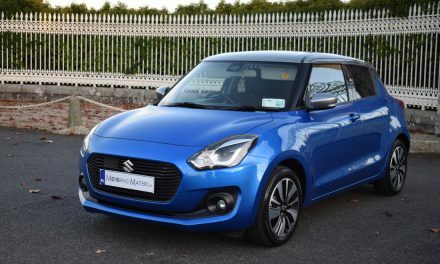 Historically, Suzuki has earned high acclaim for its stylish, city oriented designs, compact and easy-to- manage dimensions, while also offering lively performance, excellent fuel economy and low emissions. Alongside its stylish exterior design, the Ignis features excellent visibility, an easy-to- drive size, spacious cabin and ample luggage space. The development goal was to create purely iconic crossover styling that is undoubtedly Suzuki. This goal was achieved, and surpassed, by Suzuki’s design team. My test car was a new Suzuki Ignis 1.2-litre Dualjet (Petrol) SHVS (Smart Hybrid Vehicle by Suzuki) SZ5 in 2WD guise (it is also available in 4WD). 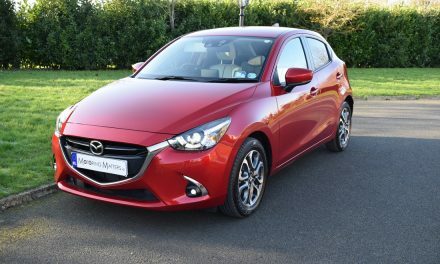 This very well equipped, range-topping, compact crossover is priced at a very reasonable €16,495 (plus metallic paint at €370 if required). Three models are available in the new Suzuki Ignis – SZ3, SZ-T and SZ5 with a starting price of just €12,995. Underpinning all new Ignis models is a platform constructed in high tensile steel, resulting in a very low kerb weight (from just 810kg – depending on specifiaction chosen) which leads to fuel economy of up to 65.7mpg. Suzuki’s free-revving 1.2-litre petrol engine develops a healthy 90bhp with 120Nm of torque available at 4,400rpm. Maximum speed is 161km/h and the 0-100km/h sprint can be completed in just 11.1 seconds. The cabin of the new Suzuki Ignis features convenient storage space. 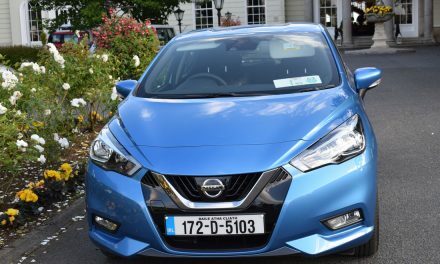 In addition to the two-section glove box design, there are bottle holders in the centre and rear consoles as well as in the front and rear doors. With 180mm of minimum ground clearance, the new Ignis enhances driving performance on rough roads, while also enabling a higher seating position for better visibility. The slightly higher seat position also eases the burden of entering and exiting the car. Standard specification across the new Ignis range includes air- conditioning, 15“ wheels, six airbags, DAB radio with Bluetooth, body coloured door mirrors, five seat capacity and front electric windows. 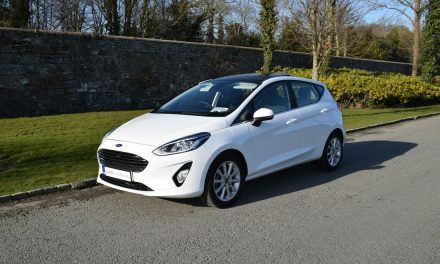 However, my SZ5 test car also included an impressive standard list of safety, security and comfort features that you would only expect in a much more expensive car. The new Ignis from Suzuki is truly ingenious.